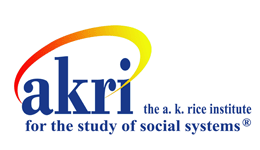 The ideas of the A. K. Rice Institute (AKRI) originated in 1965 when Margaret Rioch collaborated with the Institute's namesake, A. Kenneth Rice to organize the first Group Relations Conference held in North America. 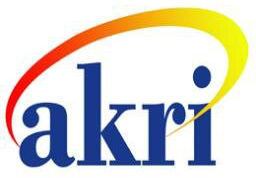 A national educational institution, AKRI was founded in 1969 by Rioch to create a United States organization for management and promotion of Group Relations Conferences using the methodology developed by Rice in his work at the Tavistock Institute of Human Relations in the United Kingdom. AKRI's original mission was to explore what events and processes produced non-rational behavior in social groups and relations. Today, the Institute’s mission has broadened to a more diverse audience in efforts to explore the different ways in which groups interact. AKRI continues to hold regular Group Relations Conferences, symposia, and training with the hope to promote further discussions and research on social interaction in the United States. Historical archives of the A. K. Rice Institute are publicly available upon request at the library of American University in Washington, D.C. For more information and details, visit the A. K. Rice Institute Archives page of the American University Library. The methodology and approach of group relations study supported by the A.K. Rice Institute is primarily based in the work of British psychoanalyst Wilfred R. Bion and subsequent developments in the late 20th century. Convinced of the importance of considering not only the individual but also the group of which the individual is a member, in the late 1940s Bion conducted a series of small study groups at London’s Tavistock Institute of Human Relations. He reported his experiences in a series of articles for the journal Human Relations and later, as the book Experiences in Groups (Bion, 1961). Gradually, Bion’s novel approach of viewing a group as a collective entity evolved into a method. In a series of conferences from 1957 on — under the guidance of A. Kenneth Rice, chairman of Tavistock’s Centre for the Applied Social Research and a member of one of Bion’s early study groups — the design shifted from the roles that individuals assume in work groups to the dynamics of leadership and authority relations in groups. Rice’s views that individuals cannot be understood, or changed, outside the context of the groups in which they live, shaped the contours of the group relations conference as a teaching modality. Under his influence, group work in the 1960s in Great Britain focused on group relations; in contrast, groups in the United States moved toward personal growth and the study of interpersonal dynamics. In 1965, Rice led a conference in the United States, and the Tavistock method began to be developed here by Margaret Rioch and others. Margaret Rioch founded the A. K. Rice Institute in 1969. The A.K. Rice Institute is now the largest group relations organization in the world, and maintains affiliations and partnerships with other related organizations, including the Tavistock Institute. Groups, like dreams, have a manifest, overt aspect and a latent, covert aspect. The manifest aspect is the work group, a level of functioning at which members consciously pursue agreed-on objectives and work toward the completion of a task. Although group members have hidden agendas, they rely on internal and external controls to prevent these hidden agendas from emerging and interfering with the announced group task. They pool their irrational thinking and combine their skills to solve problems and make decisions. In truth, groups do not always function rationally or productively, nor are individual members necessarily aware of the internal and external controls they rely on to maintain the boundary between their announced intentions and their hidden agendas. The combined hidden agendas of group members constitute the latent aspect of group life, the basic assumption group. In contrast to the rational group, this group consists of unconscious wishes, fears, defenses, fantasies, impulses, and projections. The work group is focused away from itself, toward the task; the basic assumption group is focused inward, toward fantasy and a more primitive reality. Tension always exists between the two; it is balanced by various behavioral and psychological structures, including individual defense systems, ground rules, expectations, and group norms. The group relations method can be applied in many different group situations. A group relations conference is an effective approach to teaching group dynamics and increasing the awareness of group phenomenon. These events are characterized by a clear statement of objectives, special staff roles, and a pervasive, all-encompassing application of the group as a whole theoretical approach. Below is a video of conference participants to hear about their experiences firsthand. Group relations conferences allow us to study the ways in which authority is vested in leaders by others, to study the factors involved as they happen, to study the covert processes that operate in and among groups, and to study the problems encountered in the exercise of authority. There is no attempt to prescribe specifically what anyone shall learn. Participants are provided with experience-based group opportunities to study their own behavior as it happens, and conference events allow consultation with at least one staff member to facilitate that task. Consultants consult only to a group, not to individual members, and only within the time boundaries prescribed. The consultant’s role often is the subject of much consternation among members, which is deliberate, in the interest of assisting members to pursue the task of the event in which they are involved. The consultants does not engage in social amenities, advice giving, or nurturing, but performs his or her task by providing interventions for the group’s consideration and reporting his or her observations back to the group. Thus, the consultant confronts the group by drawing attention to group behavior. This is done by means of description, process observation, thematic development, and other interventions, some of which are designed to shock the group into awareness of what is happening. Participants typically experience some difficulty as they explore issues of authority, responsibility, boundaries (of input, roles, tasks and time) projection, organizational structure, and large-group phenomena. Group members inevitably project on the staff their fantasies, fears, and doubts about authority and power. Exploration of these projections can yield significant learning, but places significant demands on the role of the consultant. Strict adherence to the consultant role in spite of these challenges is a hallmark of this method. To read a more complete description of conferences and the theory behind them, see The Tavistock Primer II byCharla Hayden and René J. Molenkamp, a publication of the A.K.Rice Institute for the Study of Social Systems.